Read on to find out the 5 reasons to invest in Eden Island real estate; the marina development in the Seychelles Islands. The beautiful Seychelles islands, located in the Indian Ocean, are an exquisite place to spend holidays and rest between business trips. This is especially true, if you’re a busy professional travelling between Europe, Africa, Asia and the Middle East. From the beautiful, natural landscapes to the pristine beaches - Seychelles real estate is a rewarding overseas investment that is sure to appreciate as the years go by. Eden Island, a new residential marina development in Seychelles, is an exceptional destination for relaxing in the most ideal, private surroundings. Whether you’re looking for a personal holiday home, or to invest in a rental-return property, this development is already highly sought-after. Investors from over 30 countries own property here and as the popularity of private island retreats climbs, the investment climate for Seychelles real estate only gets better and better. Contact Eden Island and invest in an island home today. State-of-the-art international marina - The Eden Island Marina, a deep water facility, welcomes vessels of up to 100 metres in length; including super-yachts. It’s one of the few island marinas world-wide able to accommodate vessels this large. Anyone who purchases an apartment, maison or villa on Eden Island is automatically provided with a private mooring for a leisure craft. Residents and visitors can also enjoy the Marina Boardwalk Bar, as well as the other island facilities such as swimming pools and a tennis court. 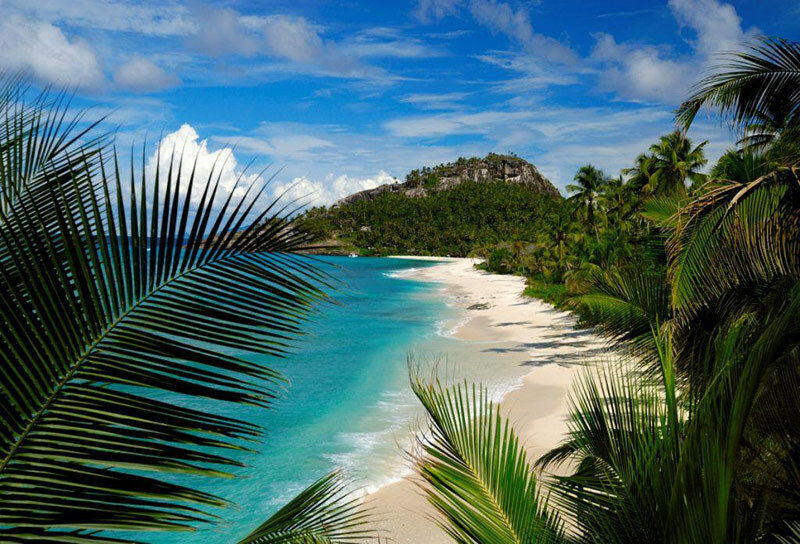 Temperate climate year-round - Seychelles is within a cyclone-free zone in the Indian Ocean. Occasional light rains are accompanied by a warm, comfortable climate for most of the year; making Eden Island the perfect all-season, tropical paradise. Beautiful, characteristic island architecture - Showcasing the unique plantation-manor styled architecture of the Seychelles, Eden Island offers luxurious maisons, villas and apartments for sale. With their many windows, large doors and covered verandas, these residences are comfortable, spacious and charming. All necessary conveniences - Each property is sold with an Electrically Powered Vehicle (EPV) for getting around the private estate. Residences are fully outfitted with air conditioning throughout, washing machines, tumble dryers and all major kitchen appliances. Within its soon-to-be-completed commercial centre, Eden Island residents will find a supermarket, restaurants, coffee shops, a delicatessen, boutiques, banking facilities and a chemist - among other amenities. Seychellois food and experiences, as well as shops and facilities are easily accessed on the main island of Mahé, a ten minute drive from Eden Island. Residents and visitors also have access to the clubhouse, a bakery and cafe, a gymnasium and beautifully landscaped areas to finish it all off. An excellent island investment - All Eden Island residents gain freehold title ownership of their luxurious property, and rentals are permitted. Additionally, occupants may apply for residency in the Seychelles and make Eden Island their permanent home. Now is the time to take advantage and invest in Eden Island real estate, while it is still possible to purchase one of these incredible island properties on offer. Contact us for more information about Eden Island and our Seychelles real estate for sale.